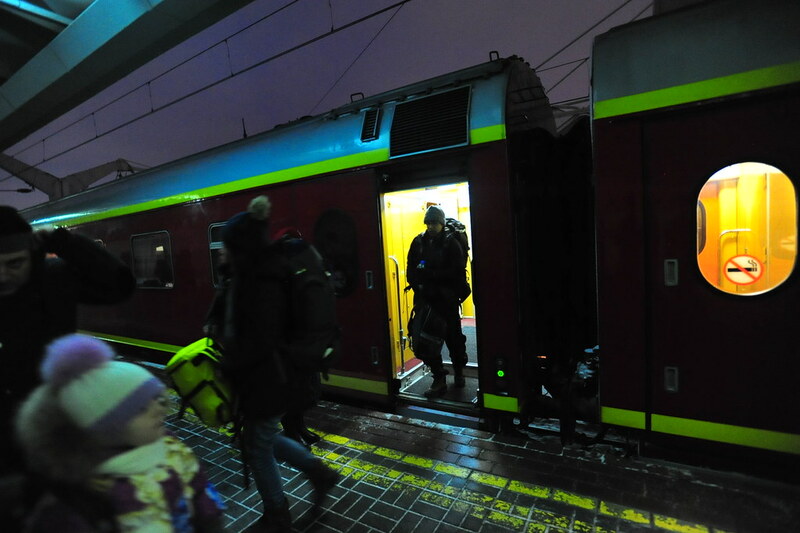 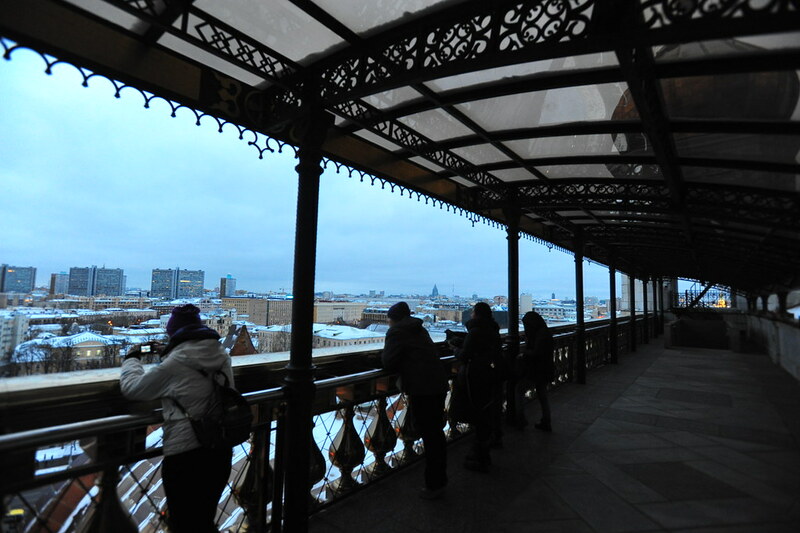 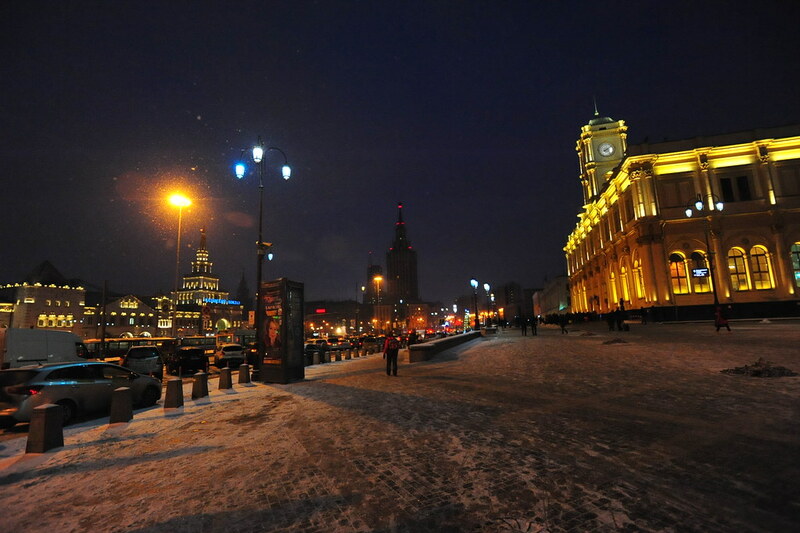 After New Year’s Eve and 2 memorable days in Saint Petersburg, we headed onwards on the overnight Train 001 from Saint Petersburg’s Moscow Station to Moscow’s Yaroslavskiy Station departing at 11:55pm. 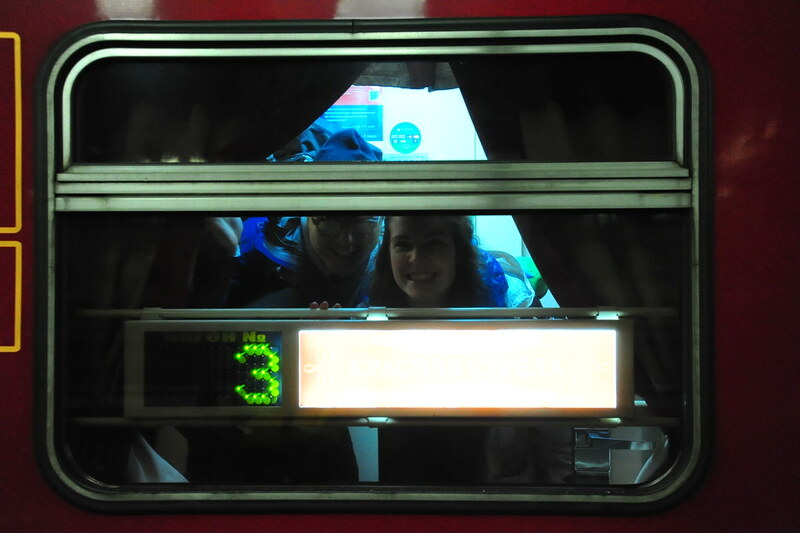 We boarded at around 11:15pm. 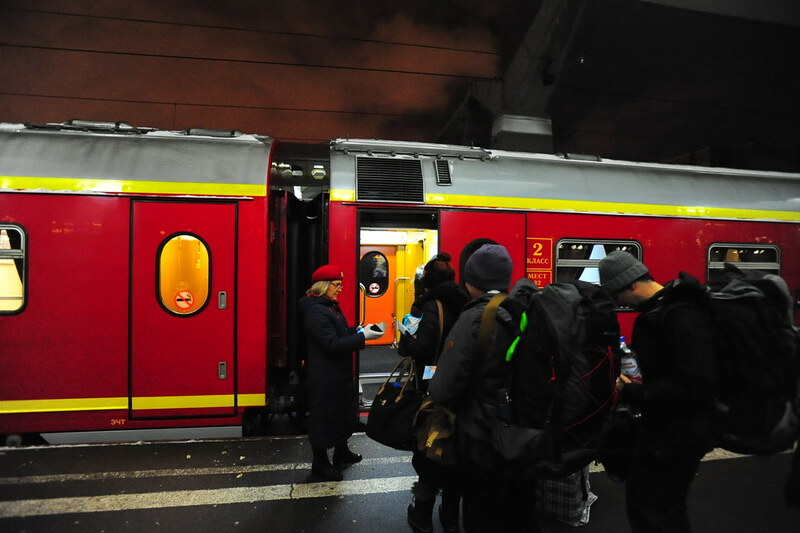 Specifically for Train 001 to Moscow, you can purchase your tickets (and internationally with even a USA-issued Visa/Mastercard!) 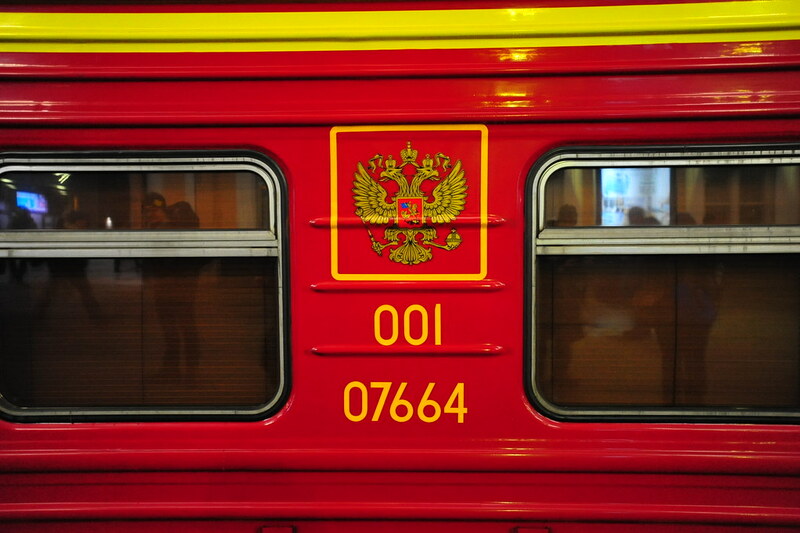 months in advance online on rzd.ru, printing them out from your computer and then showing them with your passport to your conductor before you board. 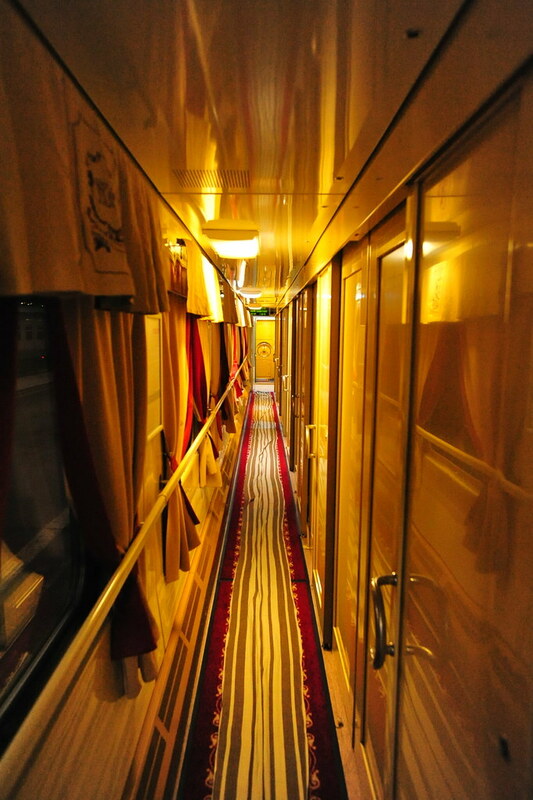 Train 001 is a relatively modernized traveler-friendly sleeper train where even its 2nd class (at 4 berths per cabin) rivals the feel of a business class flight! 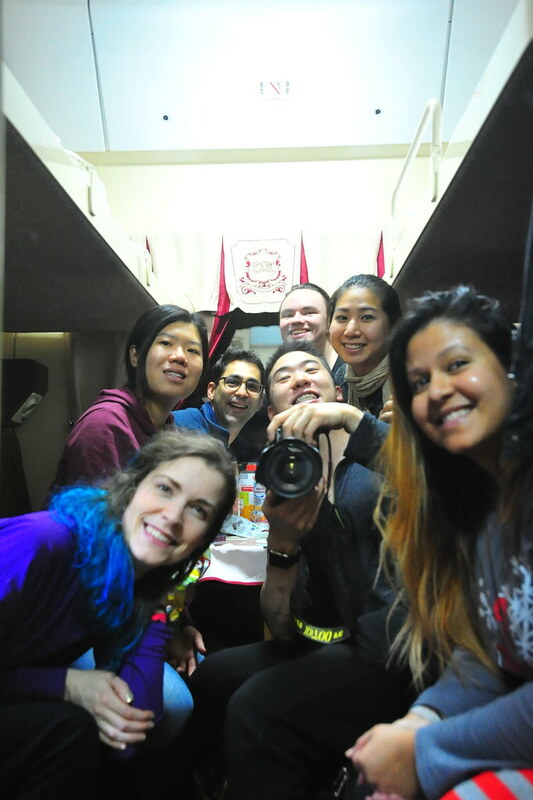 They offer free snacks, water, and bread the moment you choose your beds, and they sell bottles of beer and wine for $5 USD a bottle, bringing them all to the cabins. 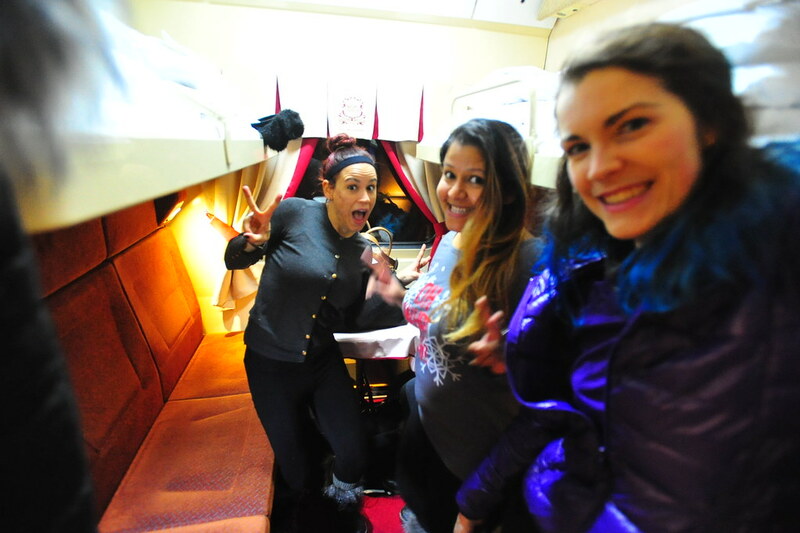 Most of us stayed up playing Monopoly while singing along to 90s throwback music. 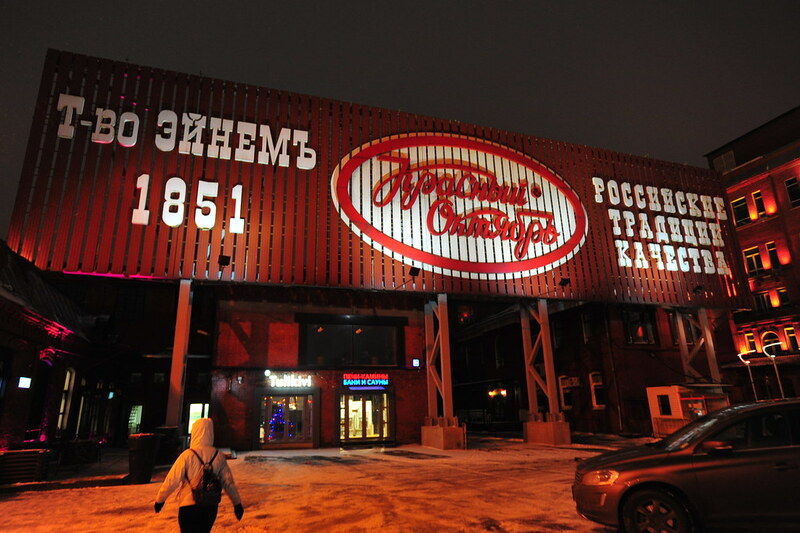 Breakfast delivery at 07:00am is also included, and you have a choice between blini (pancakes) with jam or rice porridge. 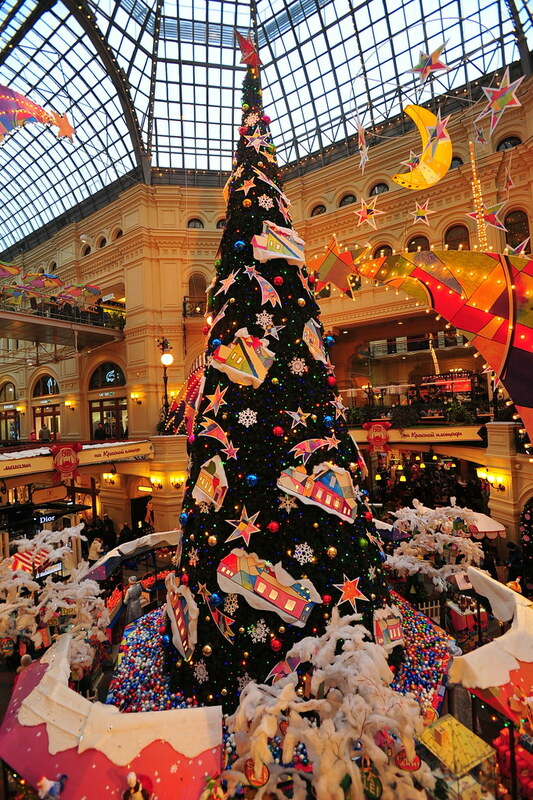 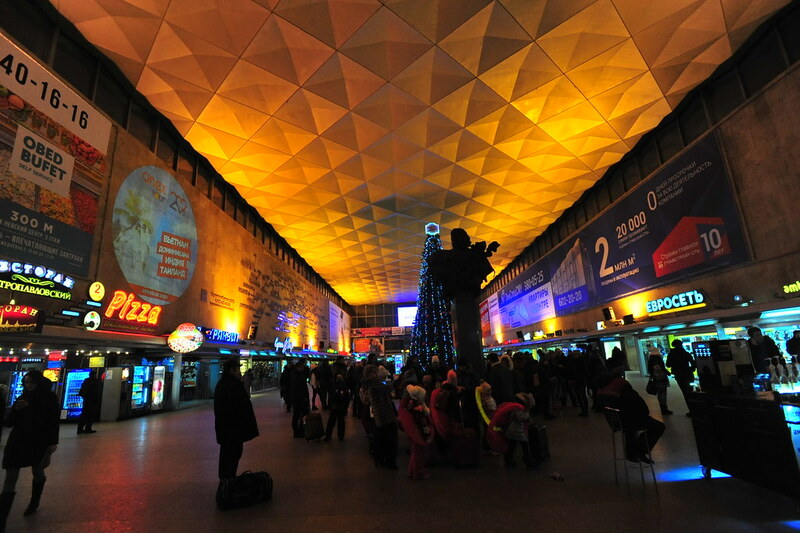 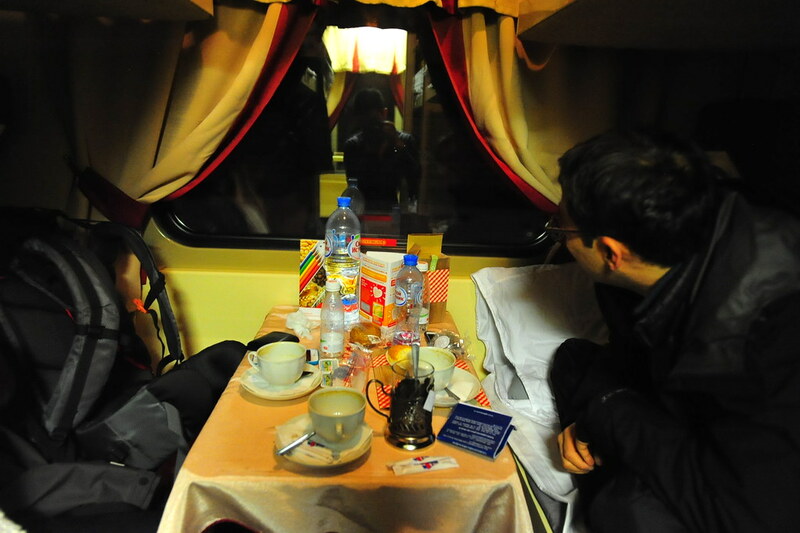 After a wonderful night’s rest, Train 001 arrived in Moscow exactly at 08:00am in the morning. 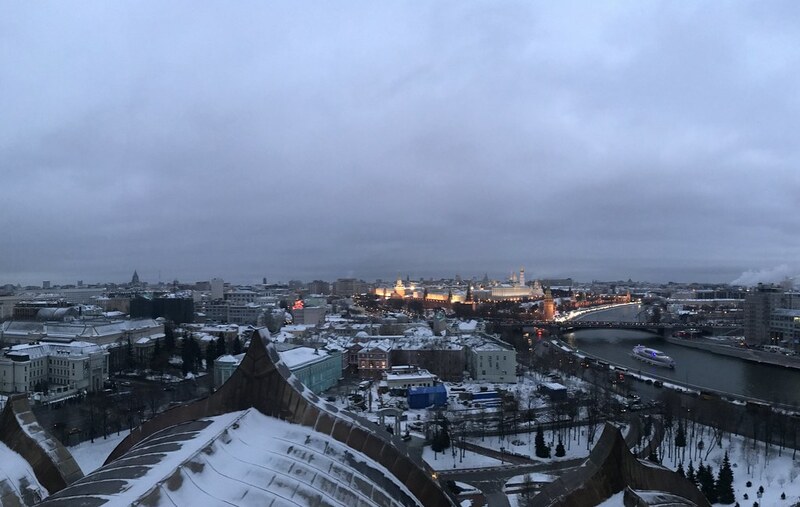 The sun doesn’t rise until 9am at this time of year, so adjust your circadian rhythms accordingly. 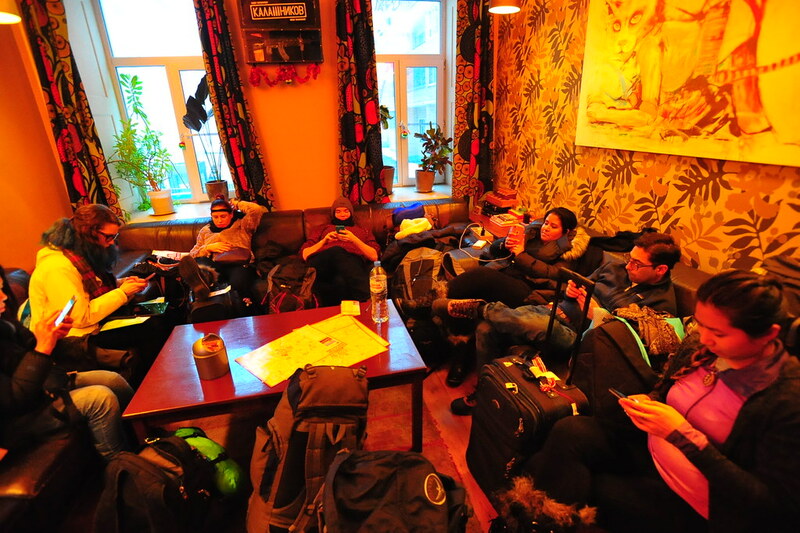 Given our bags, we took Uber cabs directly from the train station to our accommodations at Godzillas Hostel. 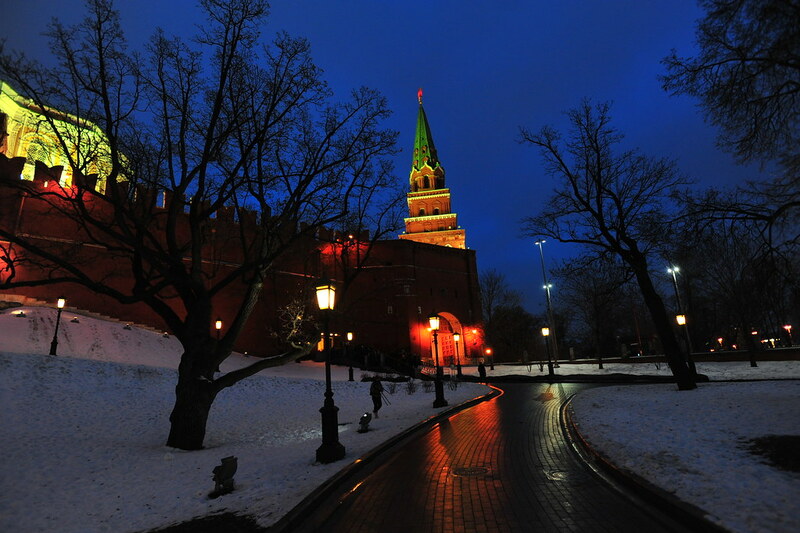 This mega complex separates the Kremlin — Russia’s former royal citadel and the official current residence of Russia’s President Vladimir Putin — from Kitai-gorod, the historic merchant quarter. 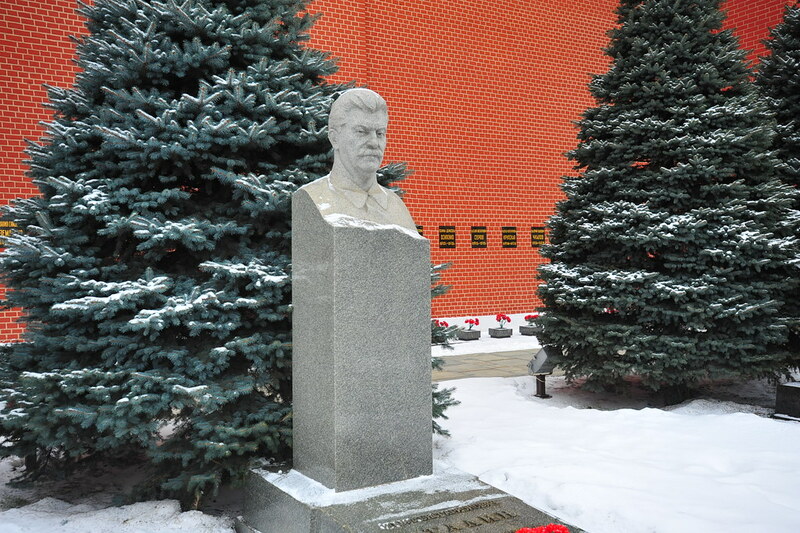 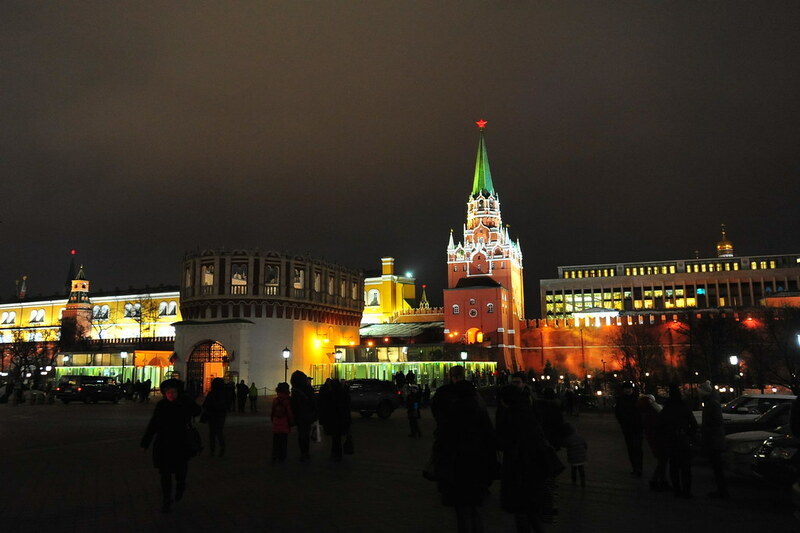 In the middle of Red Square, tucked against The Kremlin walls, is the Mausoleum of Lenin. 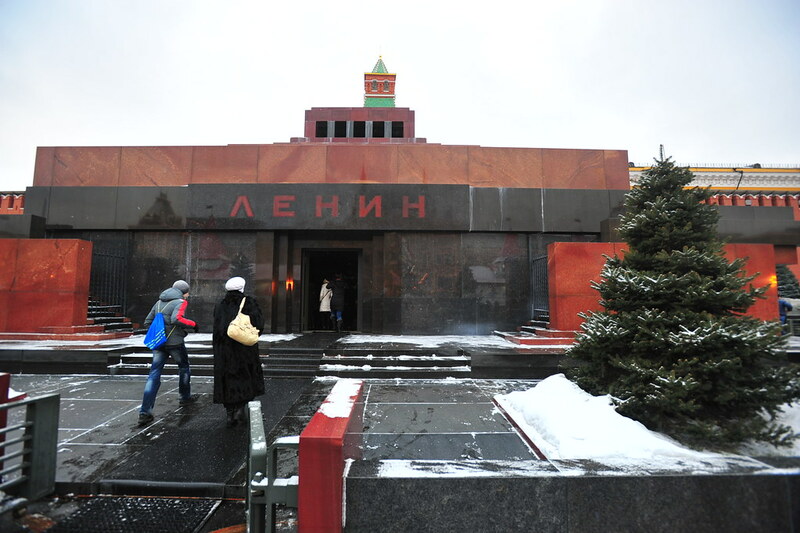 The scientists behind this mausoleum became world famous for being one of the first to perfect the embalming process of a dead human body, namely Vladimir Lenin. 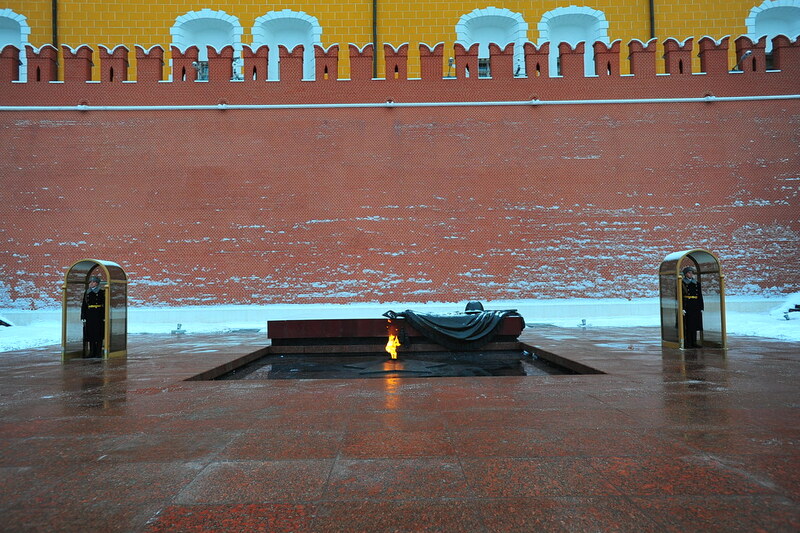 It’s free to enter, although photos are not allowed here (just google the image to get an idea); guards are literally everywhere to ensure you pay your respects by not talking and not taking any photos. 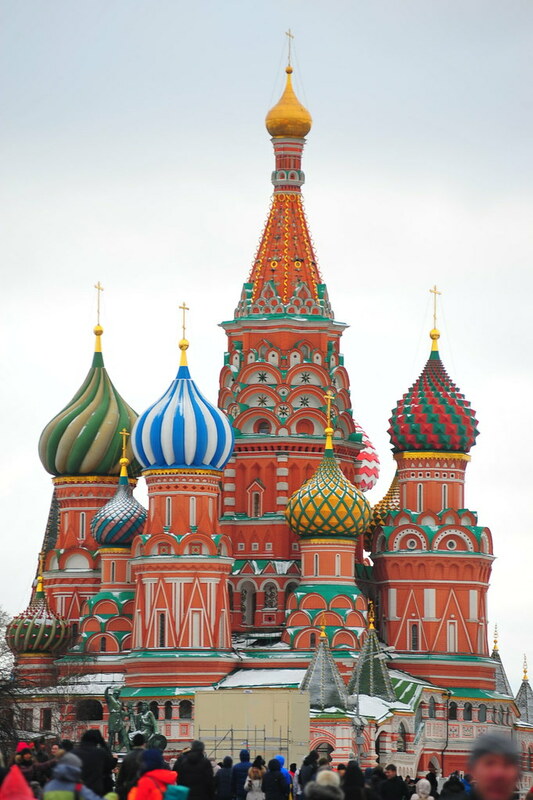 Past the mausoleum is probably the most recognized symbol of Russia — Saint Basil’s Cathedral, built to resemble a bonfire rising into the sky. 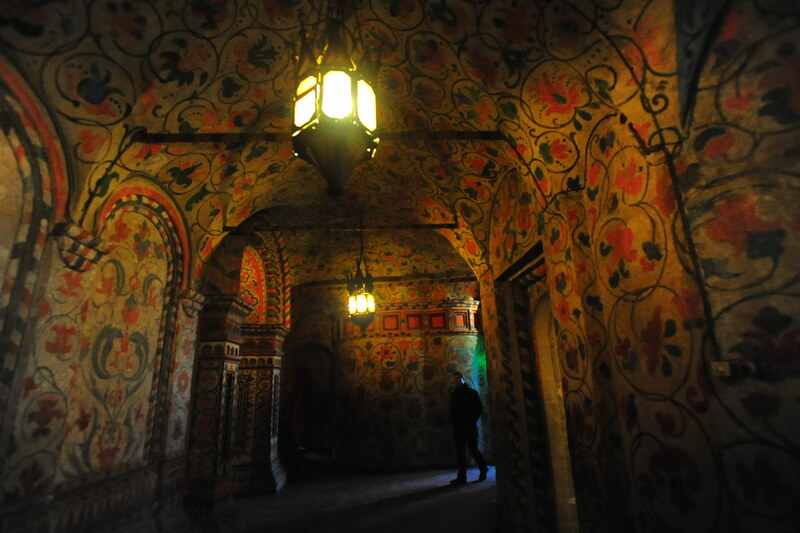 Its interior consists of 2 floors of maze-like corridors adorned with murals wall to wall. 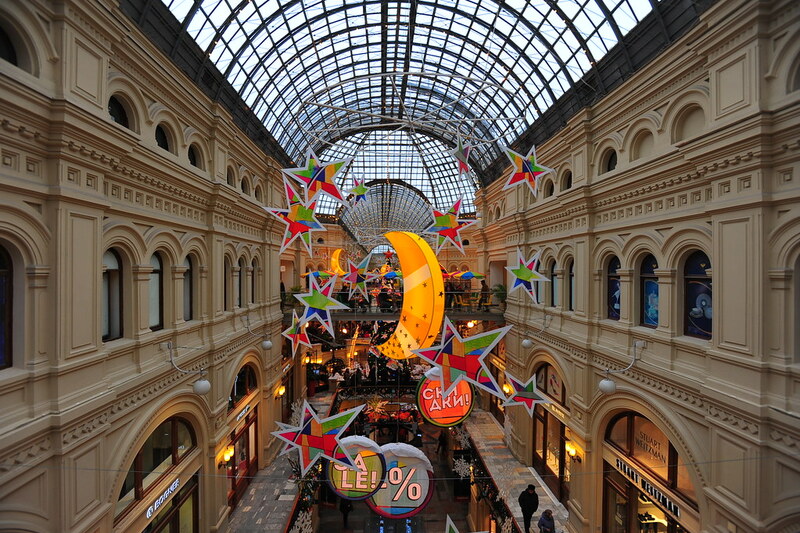 Afterwards, we spent an hour walking around ГУМ (GUM), a mega department store/mall famous for its lavish interiors and damn good Soviet ice cream on the bottom floor. 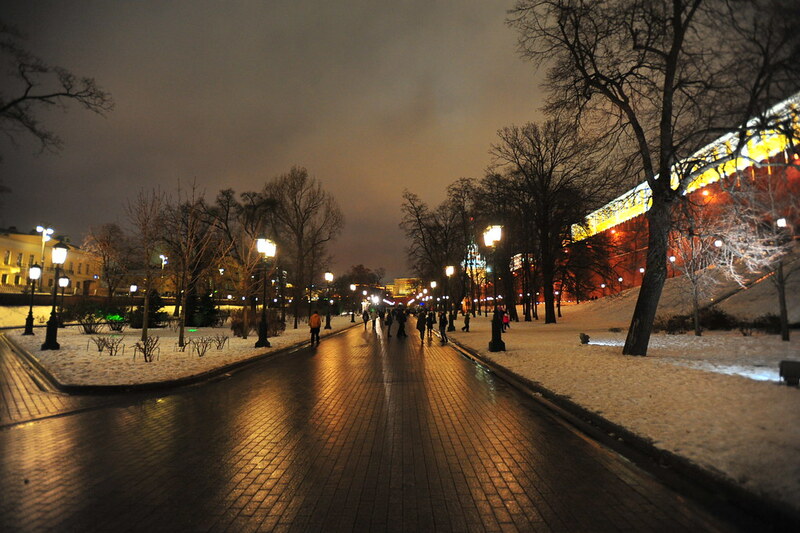 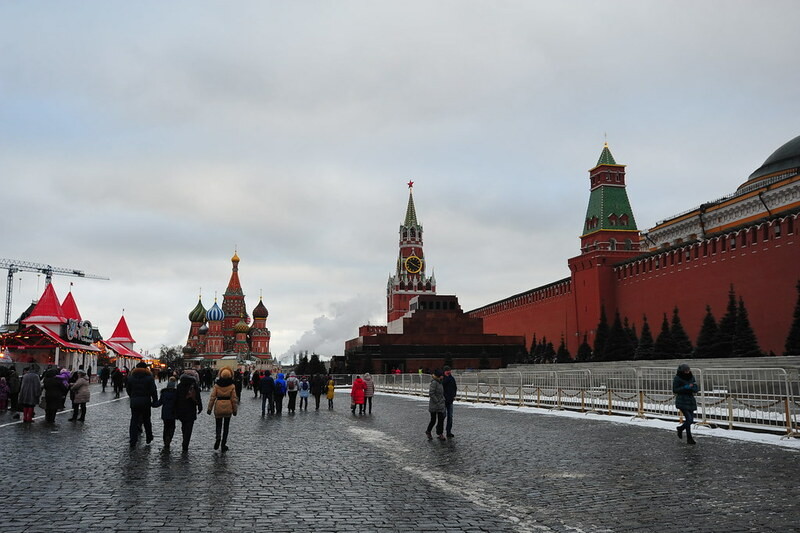 Afterwards, walk around to the opposite side (the western side) to enter The Kremlin. 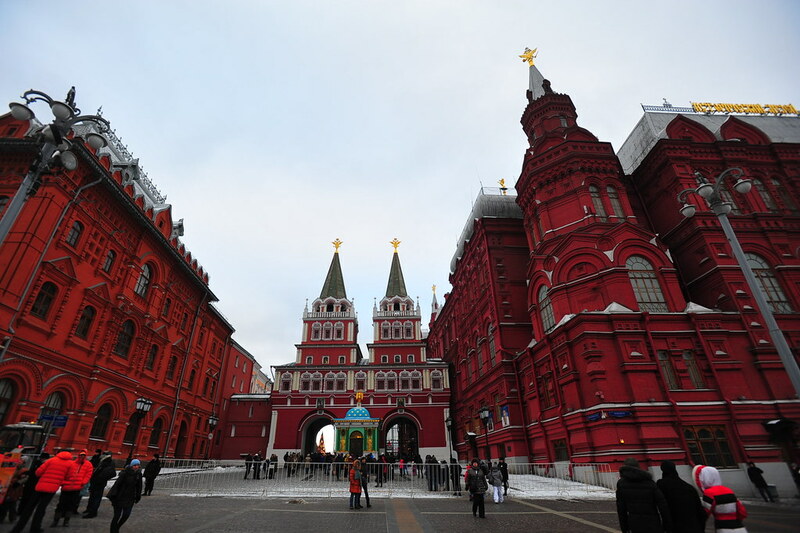 Do not enter directly from Red Square and you’ll probably get shot. 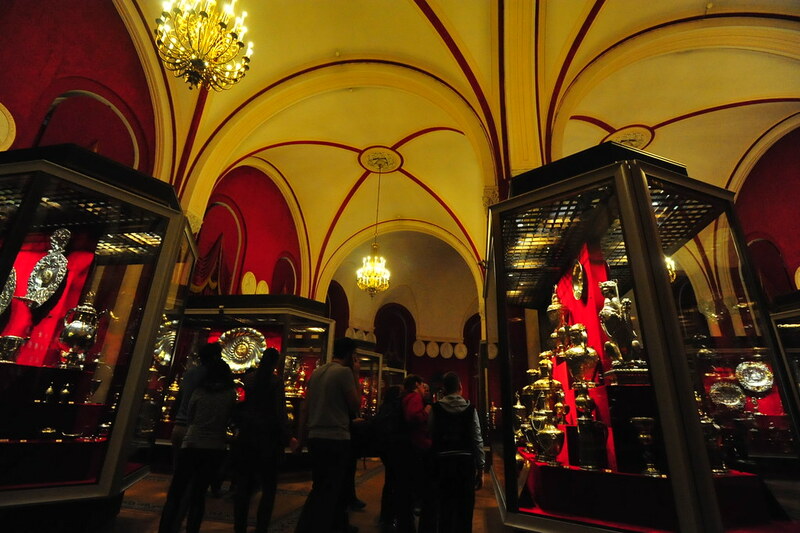 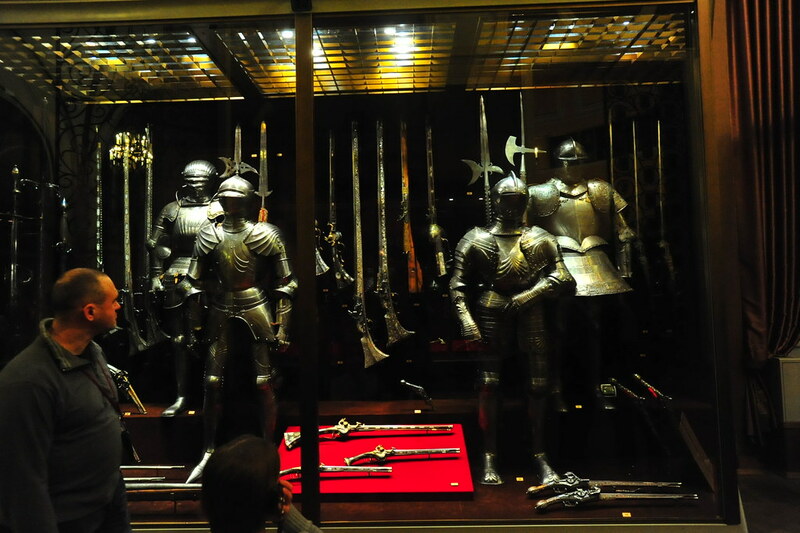 While inside The Kremlin, the top recommendation is to visit The Armoury, which holds a lavish collection of medieval-era Russian dresses, jewelry, china, old school weaponry, chariots, armor, and chainmail. 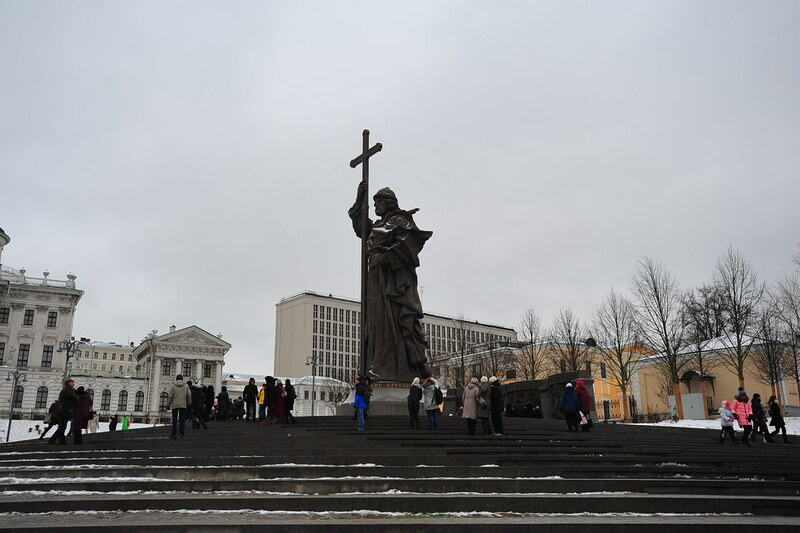 Once we were done with the Kremlin, we swung southwest past the big statue towards Cathedral of Christ The Savior. 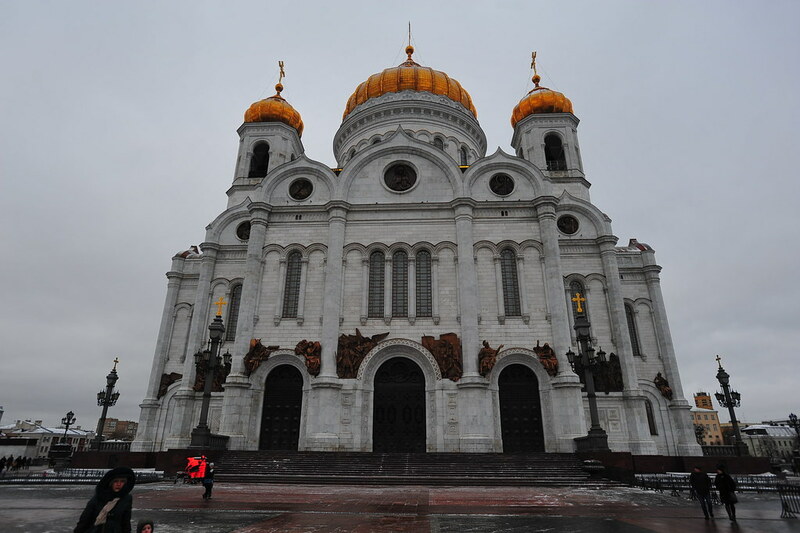 Standing at a height of 338 feet/103 meters, this is the tallest Orthodox Christian church in the world. 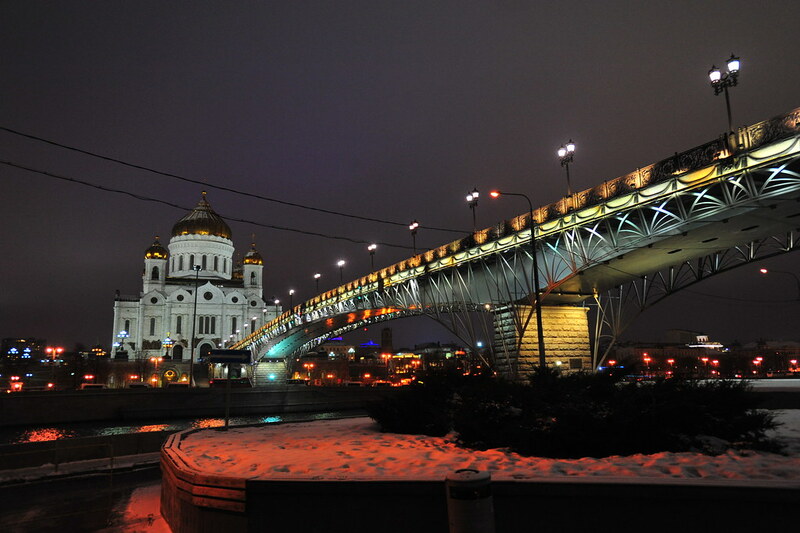 There had been a similarly sized Cathedral of Christ the Saviour that once stood on these grounds, but it was demolished by Stalin in 1931 to make way for the ridiculously sized Palace of the Soviets (after a contest that ended up with no winners because none of the entries were big enough for Stalin). 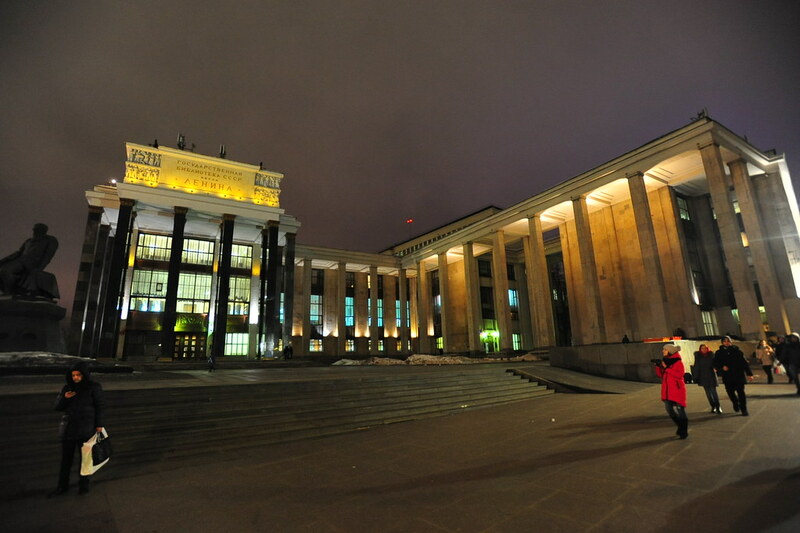 That palace was never built, however, when the Nazis invaded during World War 2 and it ended up becoming Moskova Pool, the world’s largest open-air swimming pool, under the reign of Nikita Kruschev. 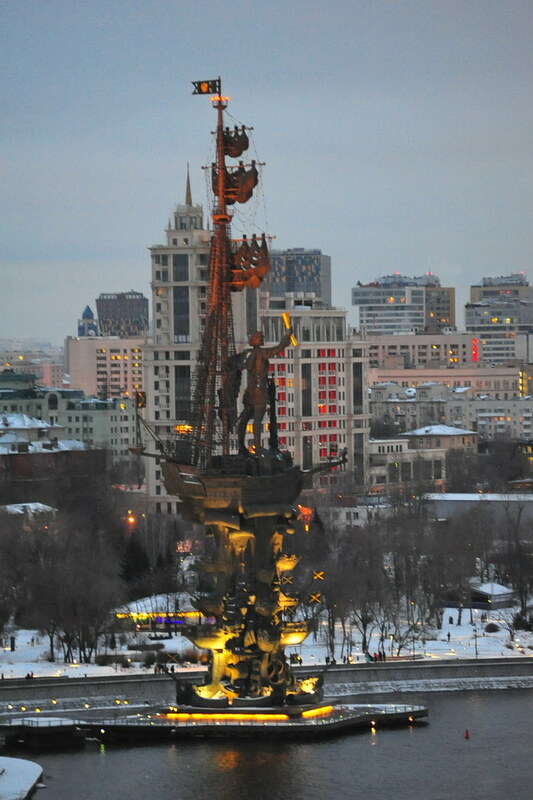 The odd looking pirate statue in the distance is that of Peter The Great, standing at 98 meters high. 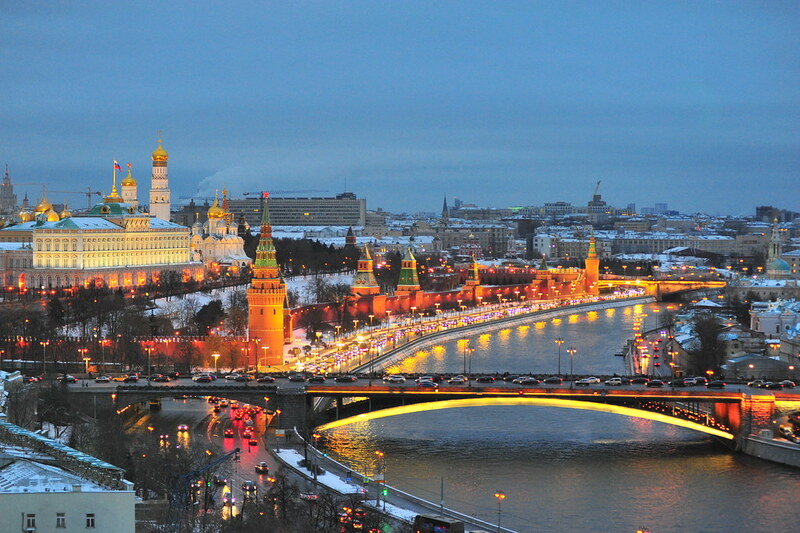 Afterwards we walked across Patriashiy most bridge towards Red October. 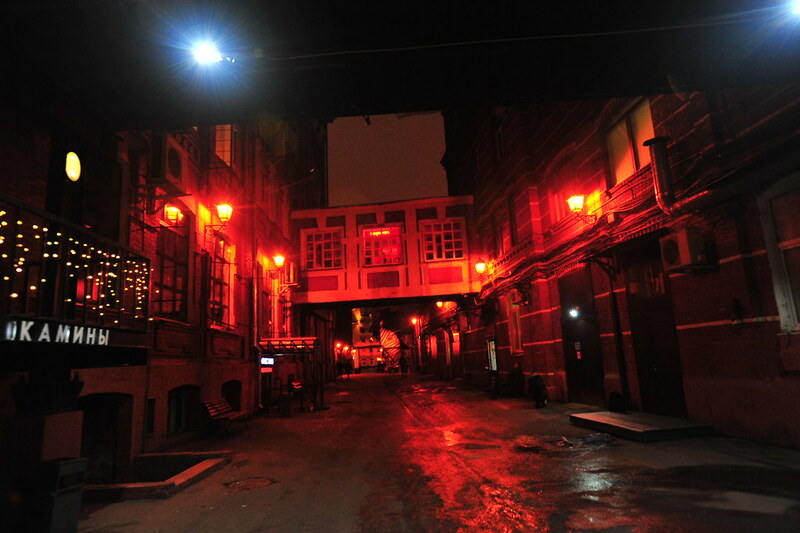 Red October refers to the former grounds of a chocolate factory redeveloped to become a vibrant arts center filled with bars, restaurants and galleries. 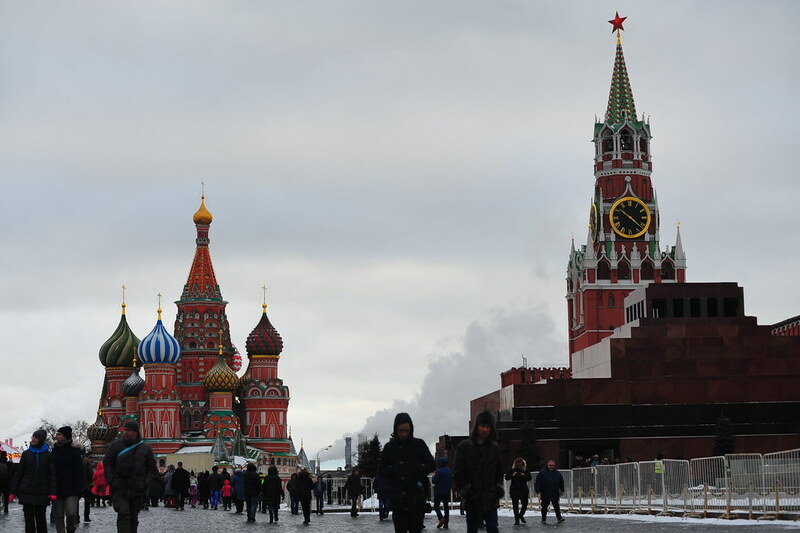 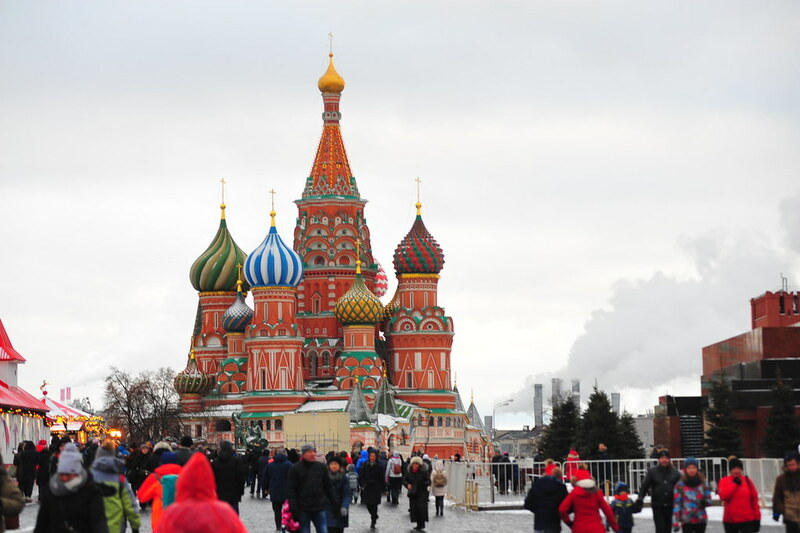 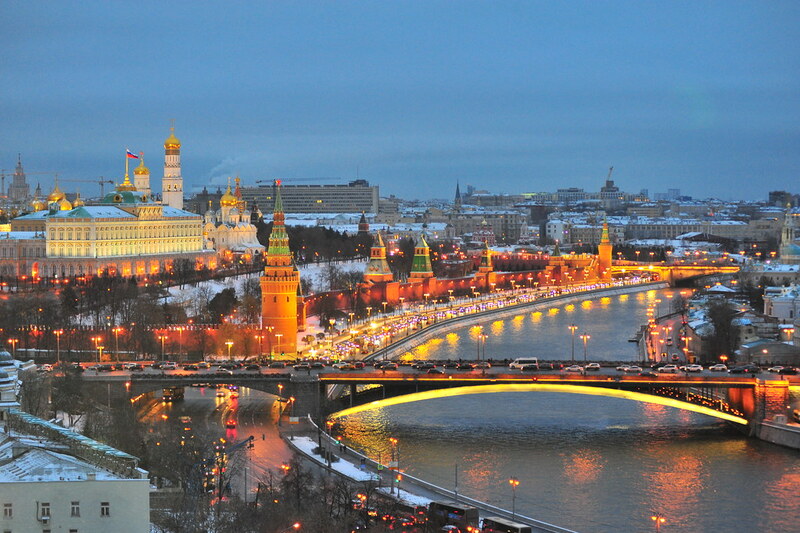 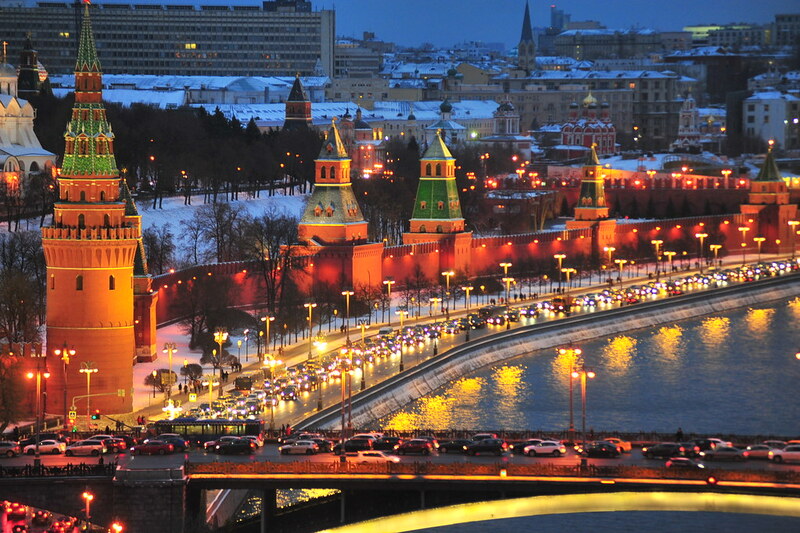 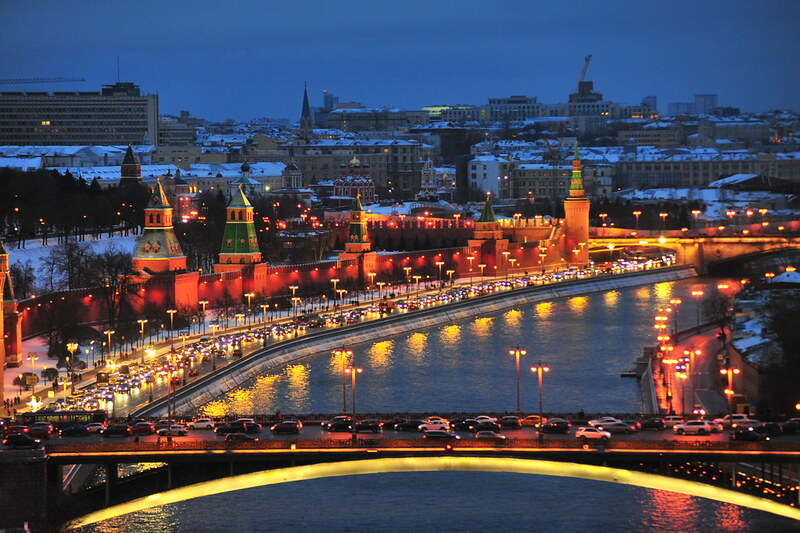 Its proximity to Red Square and The Kremlin has rendered Red October into a symbol of Russian hipster culture, European-ness, defiance, and Russian modernity. 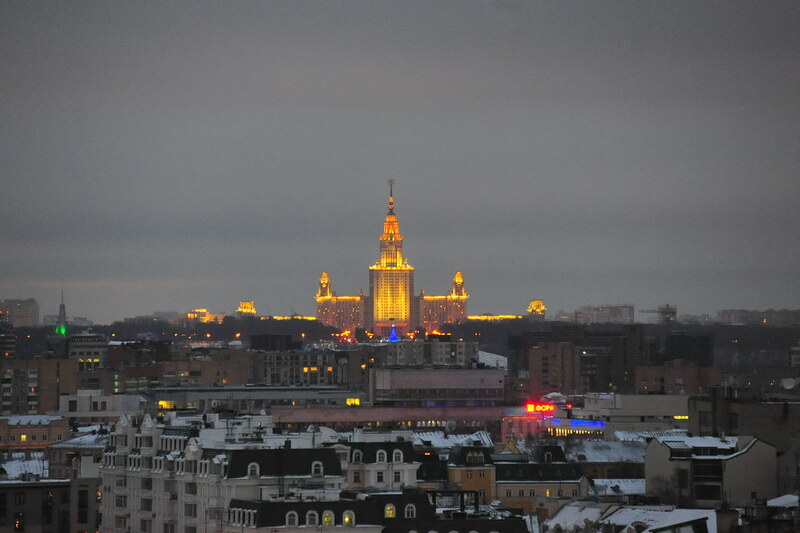 Guess it must be more popular in the summer? 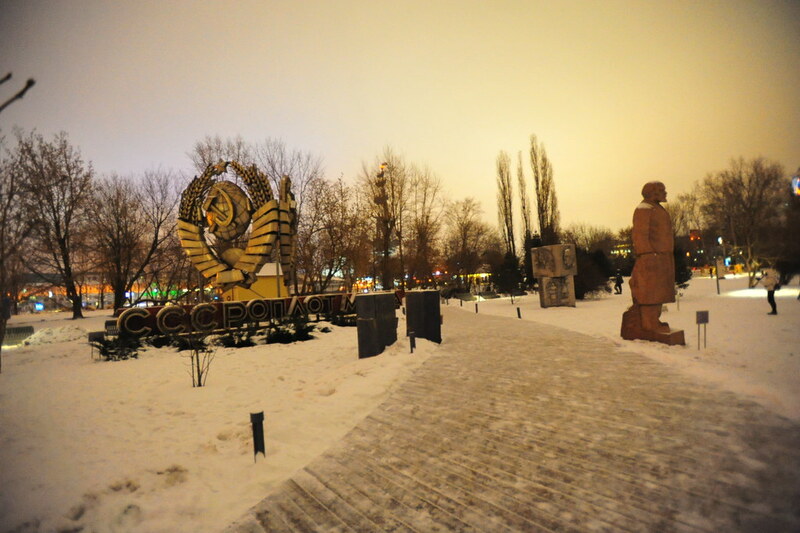 Finally, we turned a corner across another brudge onto Moscow’s central park, Gorky Park and its Fallen Monument Park/Muzeon Art Park nestled within. 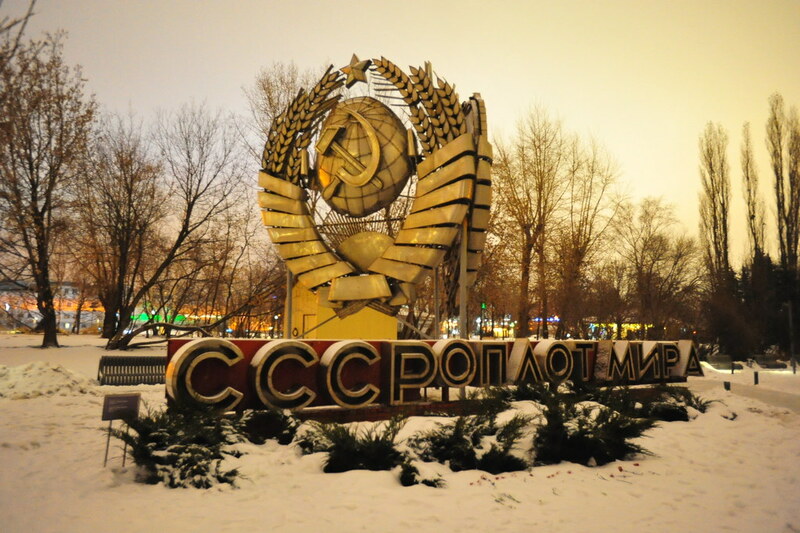 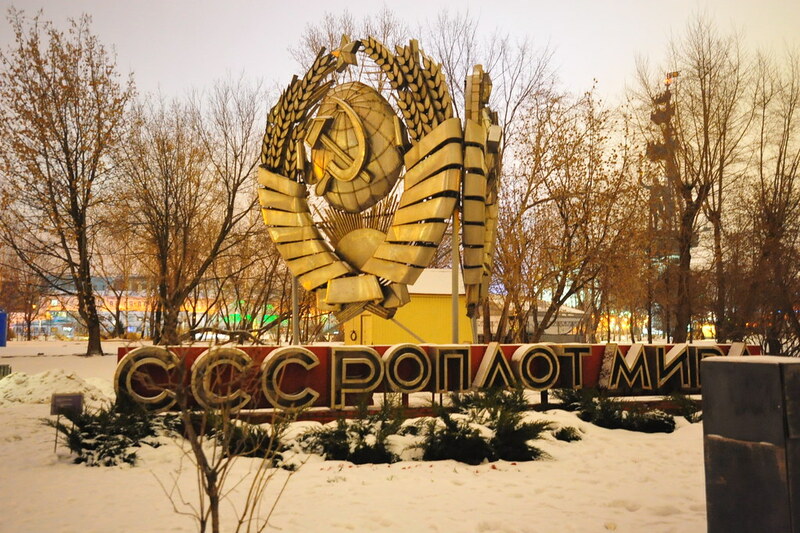 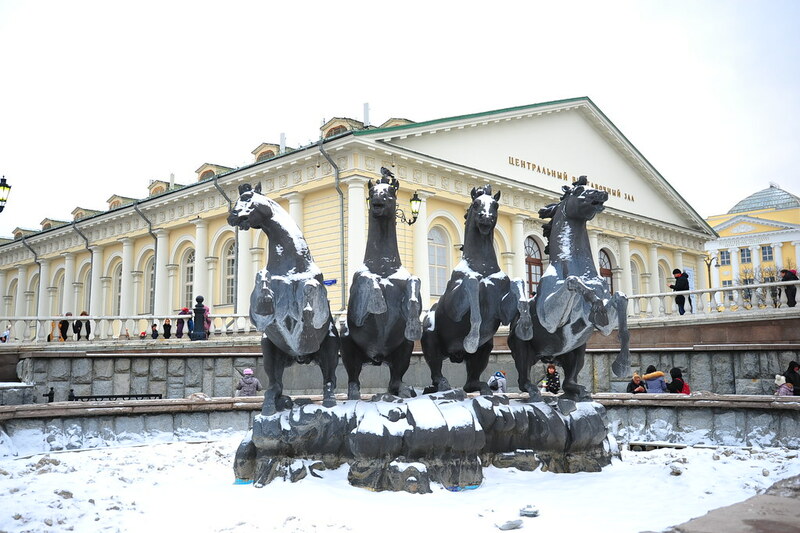 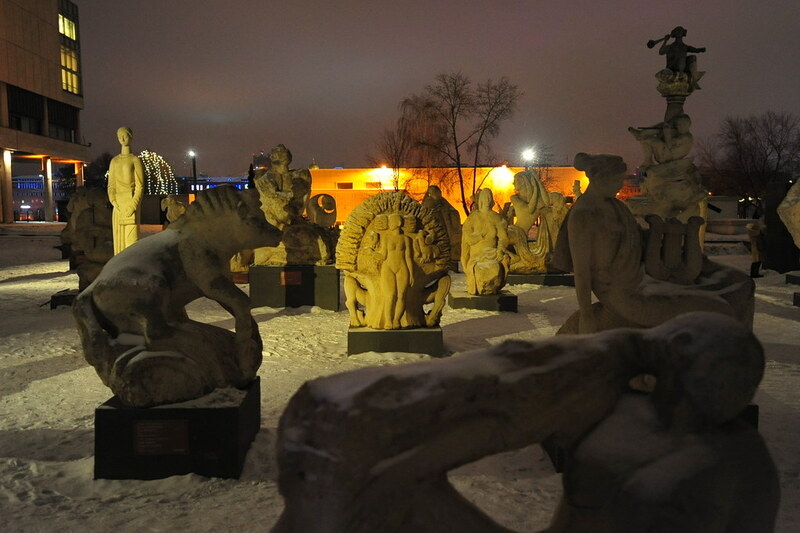 Featuring artifacts and sculptures from some of Russia’s best artists, it has become an open air museum and creative arts workshop for modern and Soviet Russian art. 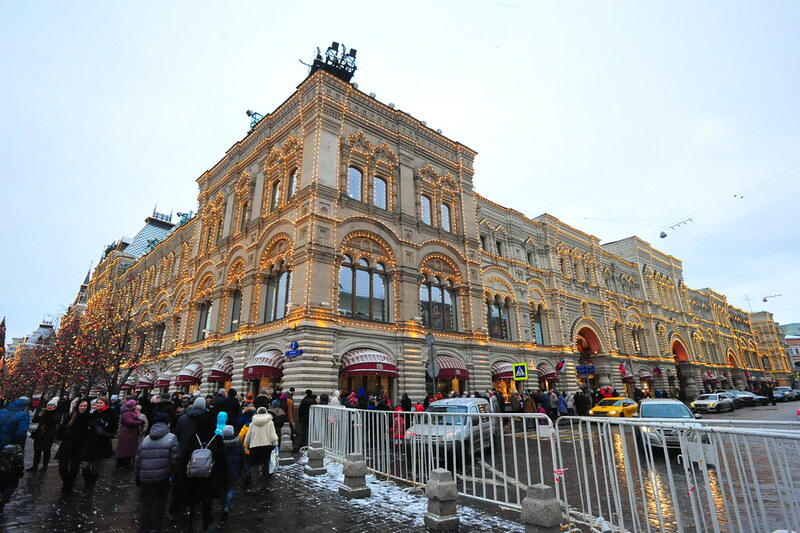 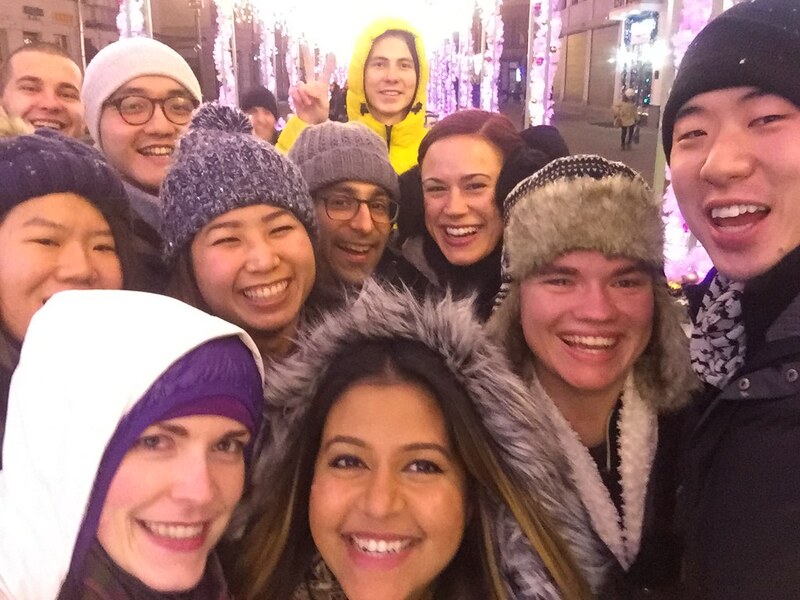 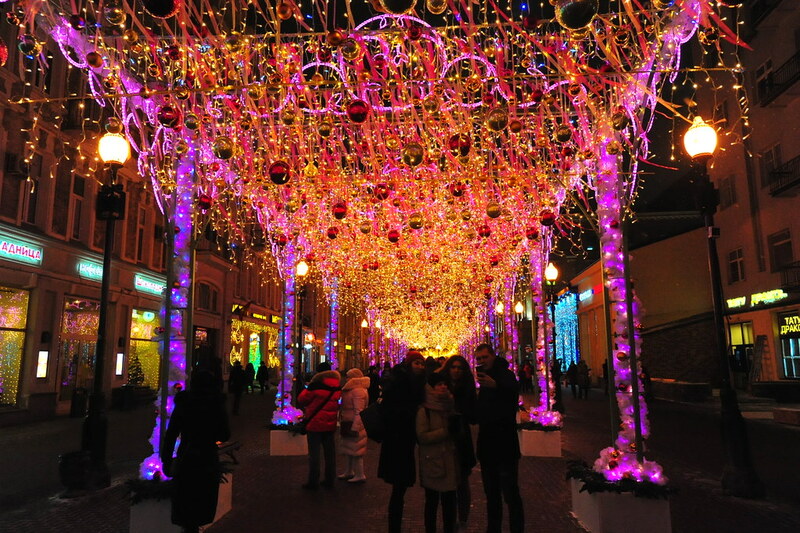 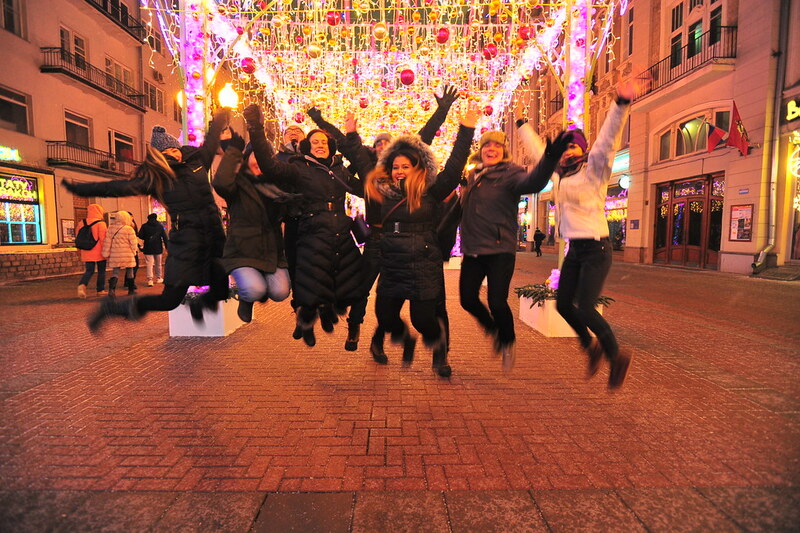 Later that night we had a great dinner at Varenichnaya Restaurant (Вареничная №1) along Arbat Street, after which we wandered along its pedestrian-only mall reminiscent of Las Ramblas in Barcelona.